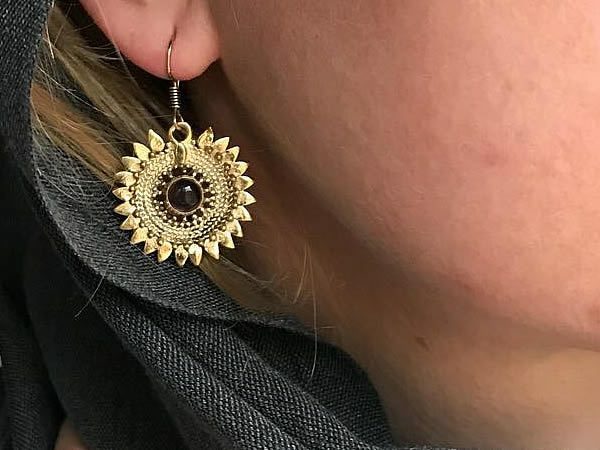 These ornate sunflower design brass earrings are cast and hand-finished and feature a clear amethyst gemstone centre-piece. They are what ear-lobes were invented for. Hung on gold-plated wire hooks for sensitive ears.